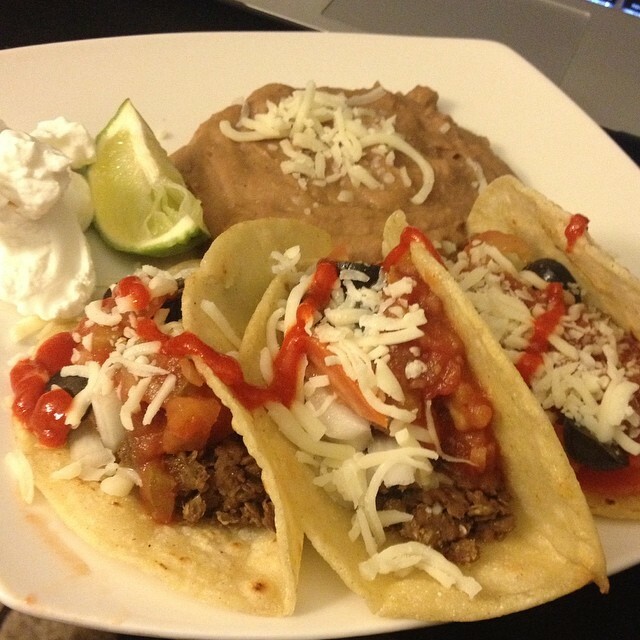 It’s Taco Tuesday so what more appropriate meal to try than vegetarian tacos! The lentil “meat” in this was AMAZING. I barely could tell it wasn’t meat, and it was super filling. Prepare lentils by combining lentils, white wine, water and black pepper in saucepan. Bring to boil, reduce to simmer and cook for 30-35 minutes until most of the water is absorbed. About halfway through cooking the lentils, stir the cumin in. When the lentils are complete, add some salt to taste.